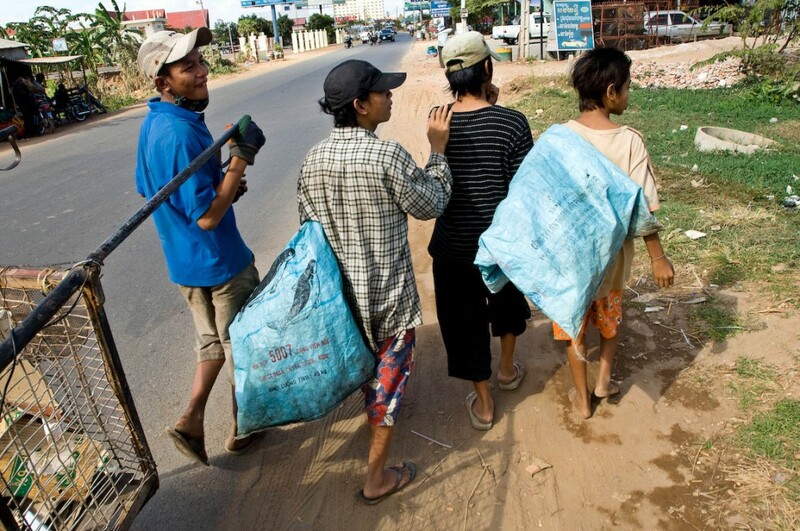 More than 40% of Cambodians are under 18 years of age. While approximately 40% of children aged 5-14 are involved in child labour, only one in three stay in school beyond primary level. It is estimated that over 20,000 young people live and/or work on the streets. Tiny Toones grew out of the interests of the very young people who are least engaged with traditional education and most vulnerable to exploitation and abuse. It was in response to their requests that KK started running break-dancing classes. It was in response to their requests that he added English classes. Tiny Toones responds directly and organically to the needs and expressed interests of some of the most neglected members of Cambodian society. Tiny Toones’ students are aged 5-24 and are particularly vulnerable to drug and substance abuse, sexual and labor exploitation, domestic violence, and gang involvement. A quarter of the children at Tiny Toones report never having attended school. They all face multiple barriers to attendance and progress as a result of their difficult backgrounds, the fees involved and being compelled to generate income. From as young as five many of these children are begging or collecting cans from garbage, or working as under-age garment workers. As the project has grown, Tiny Toones has maintained its grassroots appeal by employing former students in all of the creative teaching posts. They are perfectly placed to understand the needs of the next generation, to build strong relationships and to act as positive role models.